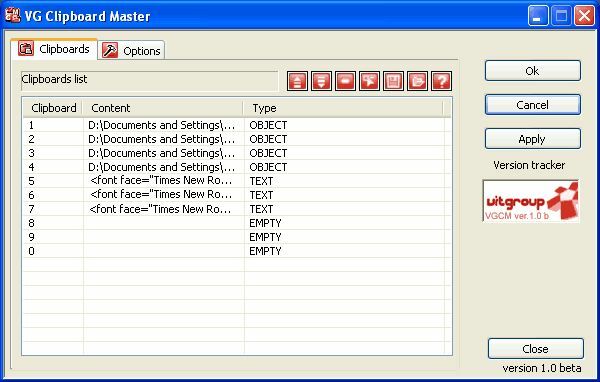 VG Clipboard Master provides extended clipboard capabilities compared to the Windows clipboard. Windows clipboard can only store one item at a time but using VGCM (clipboard management utility) you can copy a lot of different objects to the clipboard at the same time. It provides customizable clipboard lists, which you can organize into collections. This tool could be extremely useful for people who use the Windows clipboard a lot during the day.